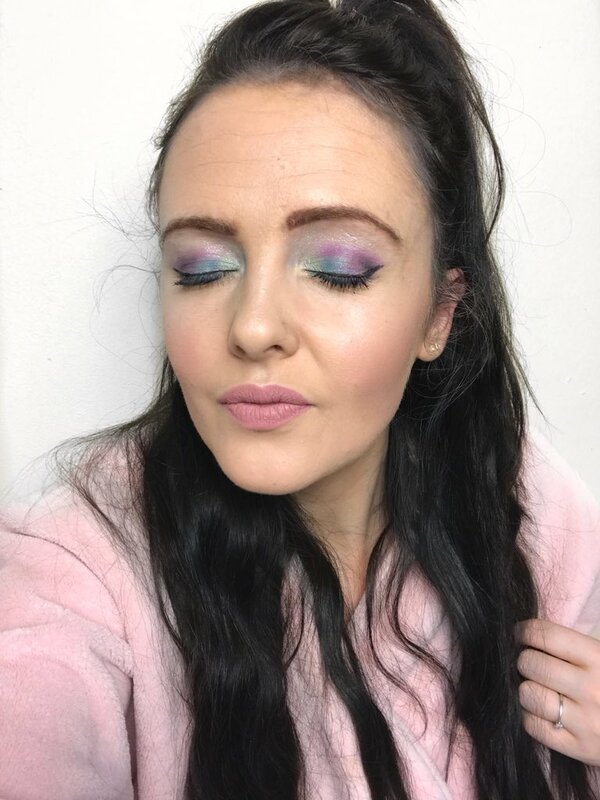 I never buy myself a colourful palettes so when this little rainbow beauty appeared in October's Glossy Box I was dead chuffed to have a go at shoving some colour on my face - with my recently dyed hair I was also excited to see how much the colours would stand out against my darker locks in comparison to my old blonde hair. Now, I've become a bit of a palette snob over the past couple of years, truth be told I rarely wear that much eye shadow (because I don't get up within enough time to put some on) and I certainly don't play around with colour, partly due to thinking I'd look like and idiot and also due the fact that I don't wear it enough to be brave enough to blend some bold shades in me old sockets. 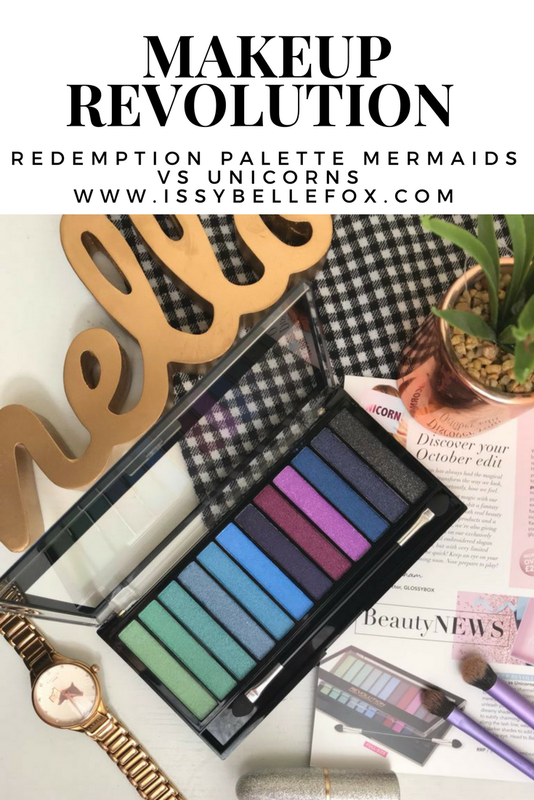 Anyway, this lack of effort and experienced has allowed me to justify splashing the cash on my trusty old warm toned brown palettes and leave the colourful colours to the proper mermaid / unicorn princesses out there. Finally, Makeup Revolution gave me the opportunity to become a Unicorn / Mermaid Princess and I took the plunge one slow Sunday afternoon and haven't looked back since. 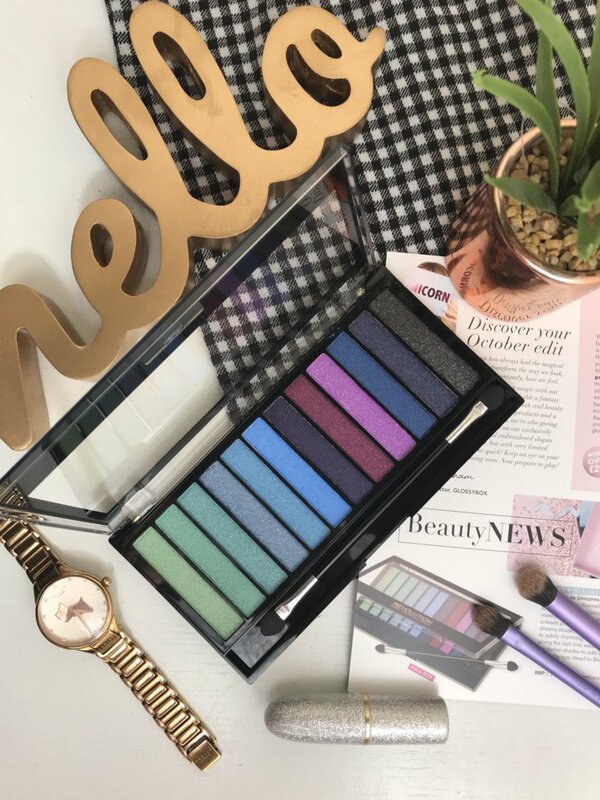 Being a palette snob means that I can easily compare the high street brands to the higher end and give you a right proper honest review so here goes; I never expected this palette to live up to the standards of the likes of UD and I don't think that's an unfair preconception to have. 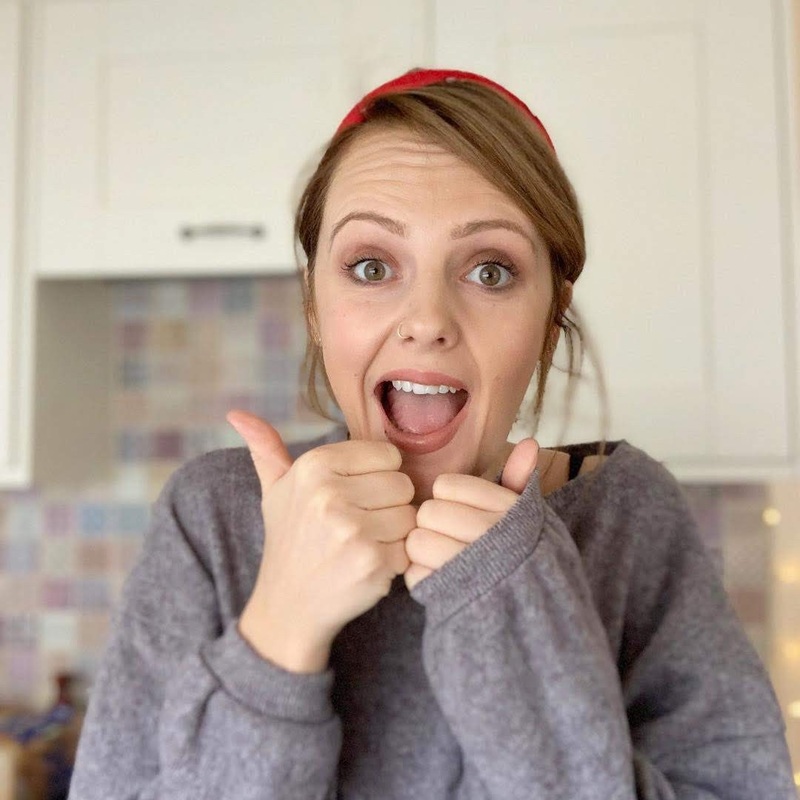 I think it's unfair when bloggers and the like slate a high street brand because it's not an exact dupe or of the same standard of the higher end one's, ultimately you do get what pay for and if I'm going to pay over the odds for a palette you can bet your arse I want it to do the dishes and sing to me as well. So with this realistic expectation in mind I can safely say that I wasn't disappointed. 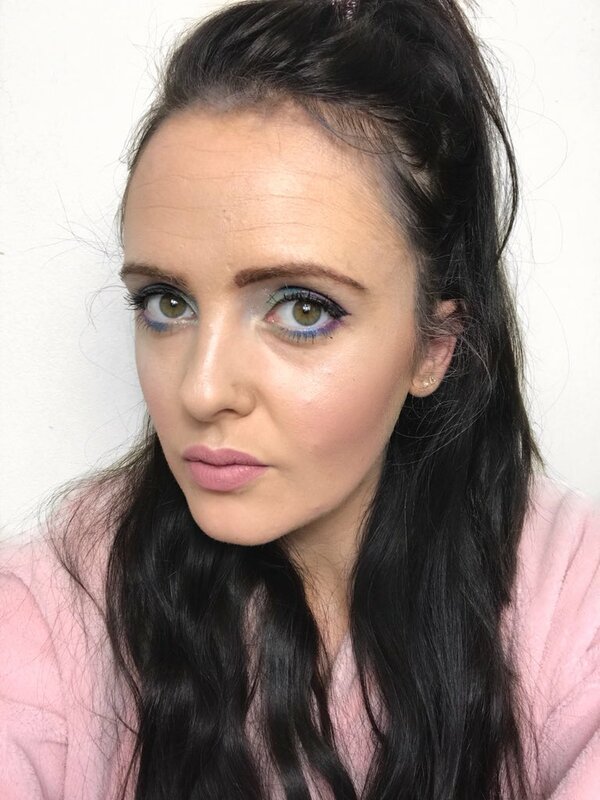 As each of the shades are shimmery rather than matte I found that I needed quite a a few layers to get a bold enough look however, once achieved, the pigmentation was bang on and each shade was a breeze to blend. Surprisingly there wasn't any fall out which is something I very much expected with the amount of product I was applying. The only disappointment with the palette is that the shimmery tones aren't of the same intensity throughout the pan and seem to be settled on the top layer, this is something that can easily be fixed with a different shimmer tone though and not something to fret about. This is definitely a palette I'll be using again and when I'm not on a massive spending ban I'll certainly look into more Makeup Revolution Palettes to achieve specific looks. 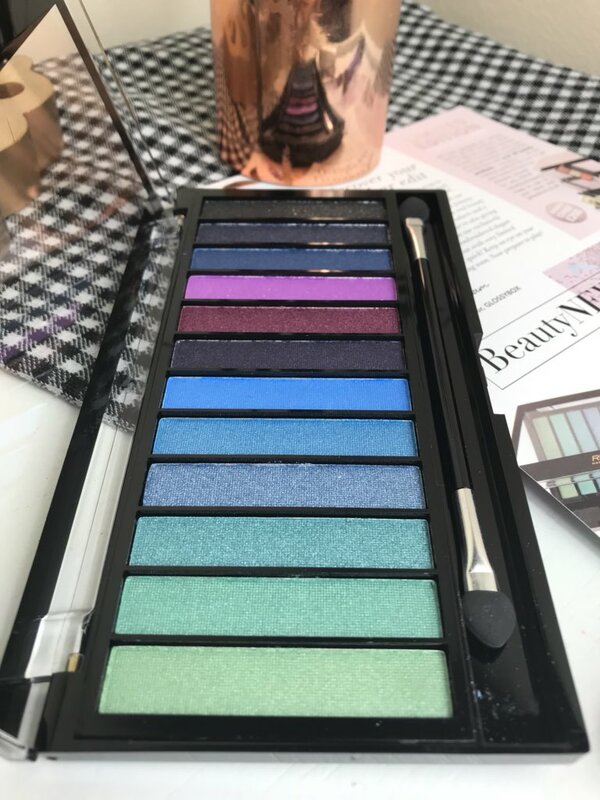 Makeup Revolution are at the lower end of the high street price range and you can pick up this rainbow beauty for a measly £4.00 in Superdrug which is an absolute steal when you take the quality into consideration.